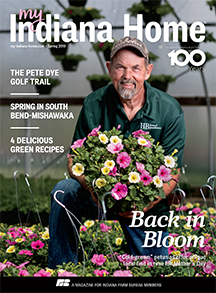 Though men make up the majority of Indiana farmers, many women are connected with the agricultural sector both on and off the farm. We’re taking a look at three such women involved in many facets of farming, from working on their family farms to helping farmers make informed decisions, and from leading the current generation to helping future generations understand the importance of farmers. When Deborah Jordan of Richmond was growing up, it was taken for granted the women would help on her family’s farm. “My mother, sisters and I milked our herd of Holstein cows and fed the calves twice a day, while Dad and my brothers took care of the crops,” she says. Upon marrying a neighboring farmer in 1981, Jordan taught school for five years before deciding to stay at home to raise the couple’s five children. As the children became old enough to help, she took on more of the farm’s recordkeeping. Today, she farms with her husband, Phil, their son, Clark, and Phil’s two brothers, running 3,000-acre Jordan Farms. While the Jordans raise corn, soybeans and wheat, their main focus is a farrow-to-finish swine operation. “We farrow (birth) 500 pigs each week,” Jordan says. 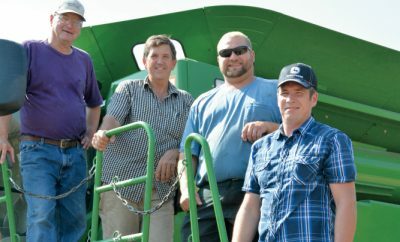 The farm is a third-generation operation that employs five people full-time. Jordan continues with her earlier responsibilities of bookkeeping for the sow production but also weans piglets, gives immunizations and helps as needed. That desire to assist with agriculture extends off the farm as Jordan serves as Indiana Farm Bureau District 6 education and outreach coordinator. She also sits on the State Women’s Leadership Committee. 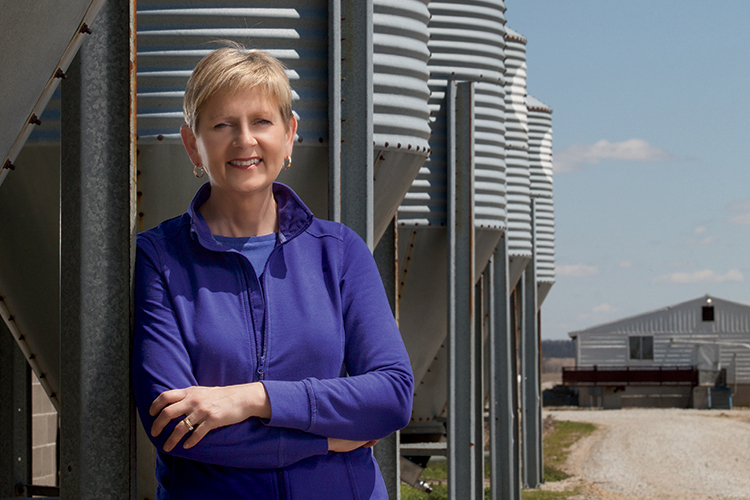 “I advocate for Indiana agriculture by, among other things, educating people about where food comes from and the important role agriculture plays in our economy,” she says. Jordan volunteers with the Ag in the Classroom program and presents educational sessions to Wayne County third- and fourth-graders. “We believe consumers can be taught at young ages what it means to eat healthy and the benefits of new technology in farming,” she says. Her dedication to agriculture was recognized in 2013 when she was honored with the Purdue Extension’s Women in Agriculture Achievement Award. Jordan didn’t slow for the accolades. In summer 2014, she helped organize a bus trip to an aquaculture facility in Delaware County. 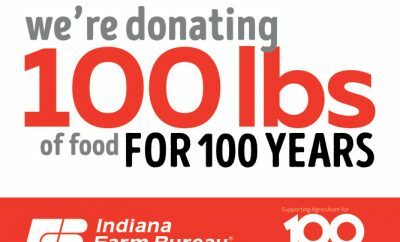 As Indiana Farm Bureau’s second vice president, Isabella Chism of Howard County, one hour north of Indianapolis near Kokomo, never takes her opportunities to be involved in agriculture for granted. 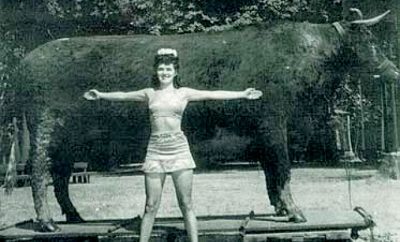 Born in Ontario, Canada, Chism moved with her family to a small Indiana town at age 8. When she married Kent Chism in 1980, Isabella loved her husband enough to attempt to learn everything she could about his career as a farmer. 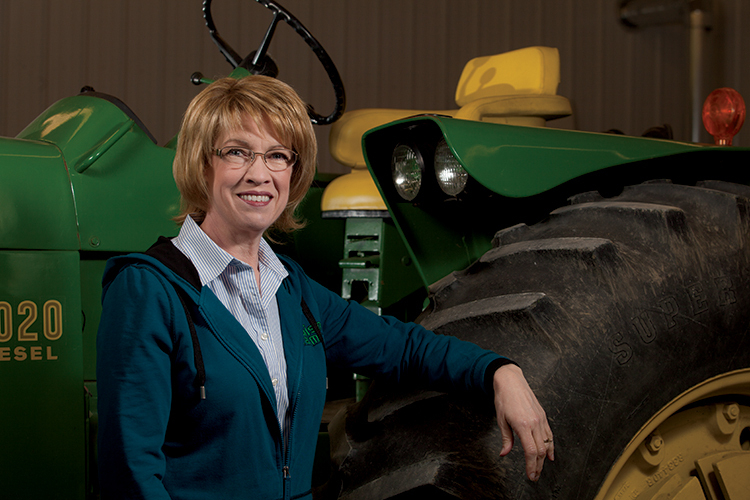 “I started out driving a lot of farm vehicles and asking many questions,” she says. “Now I can’t imagine doing anything different than farming.” Over the years, Isabella’s questions and enthusiasm have led her to top agricultural leadership positions within the state, including her role as second vice president for the Indiana Farm Bureau. She speaks at conferences, appears at the Indiana Statehouse and talks to local newspapers about agriculture-related subjects. Despite her success, Chism concedes she feels the male dominance within the industry. As a crop protection sales representative for Dow AgroSciences, Christy Penner of North Manchester is aware that some of her customers are surprised when they meet her for the first time. Not only is she a female, but she is 25 years old, younger than the amount of time some of her customers have worked their fields. Penner remains undaunted by the fact that she is a rarity – for now. Penner interned with Dow while attending Purdue University as an agricultural communications and agricultural economics major. “I was raised on a grain and livestock farm and always knew I wanted to be involved with agriculture,” she says. Thinking she could communicate her love for the land through the written word, Penner was surprised at how much she enjoyed a series of agricultural internships that involved retail and agronomics. When Dow offered her a position with the company upon graduation, she accepted. Her position as crop protection sales representative keeps Penner on the move. Her customers’ locations range from Michigan to Muncie, Lafayette to the Ohio line. Penner enjoys being on the road the majority of each week as she visits customers. can u make a christy penner one olny.